I’ve not read a whole lot in the oeuvre of Joyce Carol Oates – she’s so prolific and what few I have read have not really totally satisfied. Don’t get me wrong – they’re good, they’re really quite good – they’re just not quite what tickles my fancy. Looking back I started with the book “them” in about 1970 or so. Then much later I tried “We Were the Mulvaneys” but couldn’t quite get through it. The last one I read, Beasts, told me Oates was her same weird self – not quite top-shelf fiction but not easily dismissed either. 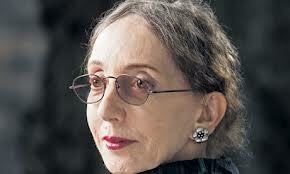 Joyce Carol Oates – 2010? That said, in the awards department she seems a bit like “always the bridesmaid, never the bride,” as she’s been nominated for so many awards (including the Pulitzer, the Man Booker International and the National Book Award) many times, but continues to usually be passed over. 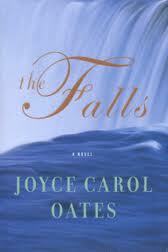 Nevertheless, one of my too-many reading groups decided to take on The Falls (2004). Okay – it’s not available in Kindle or Audio format so I went with the paperback. The narrative starts with the story of a young married couple on their honeymoon at Niagara Falls in the early 1950s. They are both the only children of upstate New York Presbyterian ministers and both have had some difficulty getting married. A tragedy occurs and Ariah is left a widow who believes herself damned – this seems to be a theme of the book – is Ariah damned? Can a person, a place, a family be damned? Ariah is a Hebrew name and a form of the name Aria – as in the song – which fits. Also it literally means name means “lion,” which might be symbolic considering the nature of Ariah’s character. But her husband’s death is not the end of life for Ariah. In her distress at The Falls she managed to attract the attentions of a very rich and eligible bachelor. 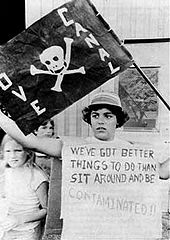 (And that’s only about 20% of the book – and only a part of that bit – with that starter Oates winds and twists and moves the story through the 1960s and ’70s and right up into the ’80s when the myriad of lengthy lawsuits known as Love Canal was concluded. 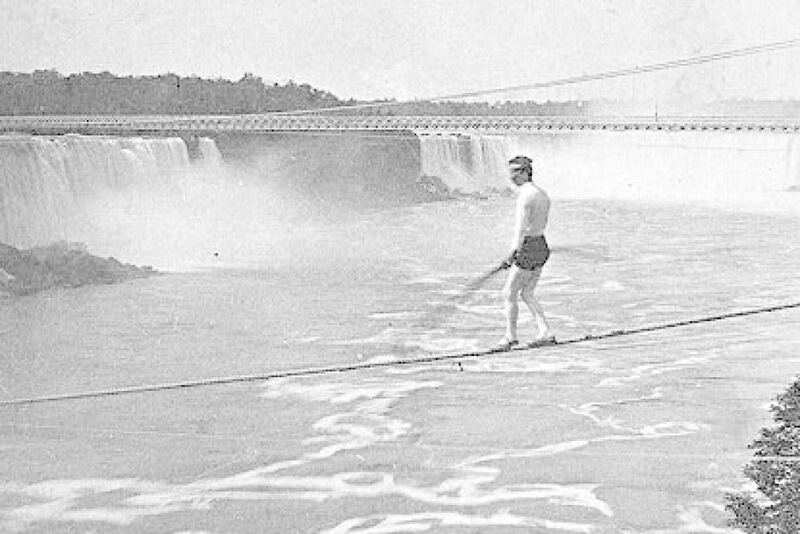 There have been many attempts to cross Niagara in various ways. 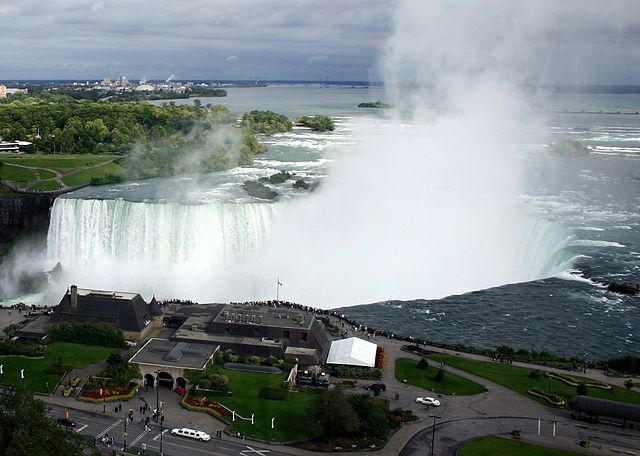 Historically there was a serious problem with environmental waste contaminating a large area of the city of Niagara Falls, NY – the situation concerning that is accurately reported in The Falls – only some name changes.